Tanzanian Maasai help vaccinate their calves against lethal East Coast fever (photo credit: ILRI/Stevie Mann). CGIAR has doubled its funding in the last five years, from $500 million (in 2008) to $1 billion (in 2013). Officials say harvesting the fruits of this historic commitment could, among other benefits, lift 150 million people in Asia out of poverty by boosting rice production, provide 12 million African households with sustainable irrigation, save 1.7 million hectares of forest from destruction, give 50 million poor people access to highly nutritious food crops, and save up to 1 million cattle from dying untimely deaths each year due to a lethal disease. The International Livestock Research Institute (ILRI) is one of 15 global research centres belonging to CGIAR, which works with hundreds of partners to develop innovative solutions, tools, and technologies for the benefit of the world’s poorest people. It seeks to bring cutting edge science to bear on a wide range of issues facing millions of farmers and other poor smallholders in developing countries who collectively generate nearly 70 percent of the world’s food production. ‘The $1 billion in funding will help finance CGIAR’s 16 global research programs and accelerate the development of scientific, policy and technological advances needed to overcome complex challenges—such as climate change, water scarcity, land degradation, and chronic malnutrition, greatly improving the well-being of millions of poor families across the developing world’, said Frank Rijsberman, CEO of the CGIAR Consortium. For more than 40 years, CGIAR and its partners have transformed the lives of hundreds of millions of people with the tangible outcomes of agriculture research, including improved crop varieties, sustainable farming methods, new fish strains, novel livestock vaccines, climate-smart solutions, and incisive policy analysis. In eastern Africa, a ‘live’ vaccine against the deadly cattle disease East Coast fever developed by ILRI with the Kenya Agricultural Research Institute and other partners and now being distributed by GALVmed, has saved 620,000 calves, benefiting up to 50,000 poor households that rely on cattle for food and income. The vaccine could benefit 20 million more people in the region, with annual benefits of $270 million. Drought tolerant maize has increased farmers’ yields by 20-30%, benefiting 20 million people in 13 African countries. ‘Scuba rice’, which can survive under water for two weeks, is protecting the harvests, incomes, and food security of poor farmers and consumers across monsoon Asia. Newly developed potato varieties that withstand late blight disease and yielded eight times more than native varieties in the region have made the difference between having enough to eat or not in the Paucartambo province of Peru, where late blight threatened to devastate staple food supplies. By integrating food crops with trees that draw nitrogen from the air and transfer it to the soil, an innovative agroforestry practice captures carbon and reduces greenhouse gas emissions, while improving soil fertility, rainwater use efficiency, and yields by up to 400% for maize in the Sahel region. Across Afghanistan, Bangladesh, Ethiopia, Egypt, Nepal, and Pakistan, high-yielding wheat varieties resistant to Ug99, a highly virulent disease, have protected the livelihoods and food security of 500,000 farming families. Read the CGIAR press release: CGIAR doubles funding to $1 billion in five years, 17 Dec 2013. Slide from presentation made by ILRI director general Jimmy Smith at the Africa Livestock Conference and Exhibition 2013 (credit: ILRI/Jimmy Smith). Yesterday, Jimmy Smith, director general of the International Livestock Research Institute (ILRI), briefed Felix Kosgey, Kenya’s new cabinet secretary for Agriculture, Livestock and Fisheries, who was guest of honour at the opening of the African Livestock Conference and Exhibition (ALiCE), on key messages delivered during the opening session of the conference. ILRI director general Jimmy Smith took the opportunity at this conference, being held this week (26–28 Jun 2013) in Nairobi, Kenya, to speak about the enormous opportunity, as well as special challenges, the livestock sector presents Africa at this particular moment, with the sector’s many direct current and potential twin benefits in terms of both agricultural prosperity and agricultural sustainability. ‘The theme for this conference and exhibition is Towards a competitive and sustainable world-class livestock sector. This theme addresses the global concern, even anxiety, about how the world will feed itself by the time the human population is expected to stabilize at over 10 billion by about mid-century. By then, with about 2.5 billion more people than there are now, 60–70% more food will have to be produced on a fixed land base that some argue is reaching its ecological limits. The livestock sector must play a major role in meeting our food and nutritional security here in Africa and the world over. I say food and nutritional security because one can be fed but not be nourished; the livestock sector contributes to both. 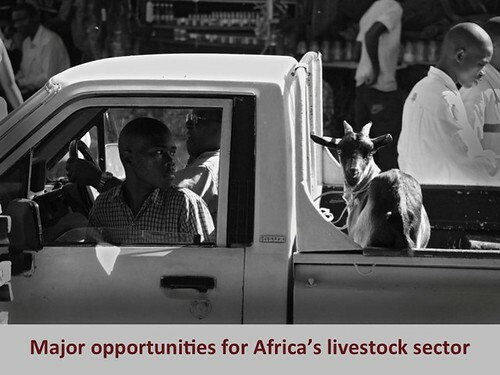 ‘The livestock sector in the developing world is growing very rapidly. In these regions, the sector contributes between 30 and 40% of agricultural gross domestic product (GDP), with this growth driven by increasing population, urbanization and, in particular, incomes. ‘This rapid growth in demand for animal-source foods will continue well into the future because per capita consumption of milk, meat and eggs is still quite low in the developing world. Here in Africa, for example, per capita consumption is only about 10kg a year, whereas in the USA it’s about 100kg. As incomes continue to rise in Africa, which has some of the world’s fastest-growing economies, so, too, will demand for animal-source foods. Little known or appreciated is that more than 50% of the world’s supply of animal-source foods comes from small-scale livestock producers. Here in Africa, some 70% of the supply of milk, meat and eggs is produced by smallholder farmers and herders. Africa’s consumption of poultry meat will increase by 200%, beef by over 100%, pork by 150% and milk by about 100%. In Africa in 2006/07 (base years), the value of all animal-source foods consumed, excluding eggs, was USD33 billion. Around the time population growth is expected to stabilize on the continent, in 2050, the value of animal-source foods consumed is projected to reach USD107 billion. A critical part of our deliberations at this conference will be how to facilitate full participation of smallholder producers in this rapidly expanding livestock market. ‘There is a sobering side to this livestock growth story; increasingly, a larger and larger share of this rapidly rising demand for animal-source foods in Africa is being met by imports, despite the fact that the continent is extremely well endowed with livestock resources and the potential of the sector is vast. Despite the importance of the livestock sector, it remains largely neglected, with discussions on agriculture by policymakers and others invariably still focused on crops. ‘The neglect of the sector, and in particular the potential of 200 million small-scale livestock producers, not only condemns the continent to steeply rising import bills but also ensures that we will miss an enormous opportunity to meet the need for food and nutritional security while also creating prosperity and transforming rural economies. ‘Here in Kenya, I’m happy to say, the livestock sector receives more attention than in most other countries and we can see its commensurate growth and development. ‘I know that there are many powerful voices out there who say that the neglect of the livestock sector is justified because livestock contribute to global warming, and high levels of meat consumption contribute to obesity and the poor health that often comes with it. ‘Regarding the livestock and environment issue, we can make livestock systems much more environmentally sustainable and we are working to do so. For example, we can cut the carbon footprint per unit of livestock product as aggressively as we can increase the productivity of cattle, sheep and goats. Millions of African families could be saved from destitution thanks to a much-needed vaccine that is being mass-produced in a drive to protect cattle against a deadly parasite. East Coast fever is a tick-transmitted disease that kills one cow every 30 seconds – with one million a year dying of the disease. Calves are particularly susceptible to the disease. In herds kept by the pastoral Maasai people, for example, the disease kills from 20 to over 50 per cent of all unvaccinated calves. This makes it difficult and often impossible for the herders to plan for the future, to improve their livestock enterprises and thus to raise their standard of living. An experimental vaccine against East Coast fever was first developed more than 30 years ago. This has been followed by work to allow the vaccine to be produced on a large scale, with major funding from the UK Department for International Development (DFID) and others. East Coast Fever puts the lives of more than 25 million cattle at risk in the 11 countries where the disease is now endemic, and endangers a further 10 million animals in new regions such as southern Sudan, where the disease has been spreading at a rate of more than 30 kilometres a year. The vaccine could save the 11 affected countries at least £175 million a year. The immunization procedure – called “infection-and-treatment” because the animals are infected with whole parasites while being treated with antibiotics to stop development of disease – has proved highly effective. However, initial stocks produced in the 1990s recently ran low. The International Livestock Research Institute (ILRI), at the request of the Africa Union/Interafrican Bureau for Animal Resources and chief veterinary officers in affected countries, produced one million doses of vaccine to fill this gap. However, for the longer term it is critical that sustainable commercial systems for vaccine production, distribution and delivery are established. With UK£16.5 million provided by DFID and the Bill & Melinda Gates Foundation, the charity GALVmed is fostering innovative commercial means to do just this, beginning with the registration and commercial distribution and delivery of this new batch of the vaccine. This will ensure that the vaccine is made available, accessible and affordable to livestock keepers who need it most and to scale up its production for the future. “Some 1.3 billion of the world's poorest people rely on livestock for their livelihoods. Many Africans depend on the health of their cattle for milk, meat and as their only hard asset for trade and investment. A smallholder dairy farmer can take years to recover economically from the death of a single milking cow. That’s why it’s vital that every possible step is taken to ensure that these essential vaccine doses are sustainably produced, tested and made available to the people who need them. “Funded by DFID and the Bill & Melinda Gates Foundation, GALVmed is working to protect livestock and the livelihoods of their owners. 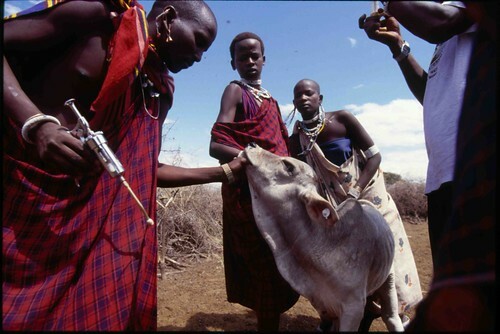 Thanks to the highly effective East Coast fever vaccine developed over many years by researchers working in East Africa and then refined and mass produced by ILRI, cattle invaluable to pastoralists such as the Maasai as well as smallholder dairy farmers are being protected. “The survival of cattle for the millions who live on tiny margins has a direct effect on quality of life and the dignity of choice and self-determination. Collaborating with ILRI and partners in the developing world, including governments and veterinary distributors and those from the private sector, GALVmed is working to embed the vaccine through registration in East African countries and to scale up its production so that it remains accessible to poor people. Over the past several years, the field logistics involved in mass vaccinations of cattle with the infection-and-treatment method have been greatly improved, due largely to the work of a private Company called VetAgro Tanzania Ltd, working with Maasai cattle herders in northern Tanzania. Sustainability underpins GALVmed’s approach and the charity is working with developing world partners to ensure that the vaccine is available to those who need it most, bringing public and private partners together. The infection-and-treatment immunisation method against East Coast fever was developed by research conducted over three decades by the East African Community, the Kenya Agricultural Research Institute (KARI) at Muguga, Kenya (www.kari.org), and the International Livestock Research Institute (ILRI), in Nairobi, Kenya (www.ilri.org). This long-term research was funded by the UK Department for International Development (DFID) (www.dfid.gov.uk) and other donors of the Consultative Group on International Agricultural Research (CGIAR) (www.cgiar.org). The first bulk batch of the vaccine, produced by ILRI 15 years ago, has protected one million animals, whose survival raised the standard of living for livestock keepers and their families. 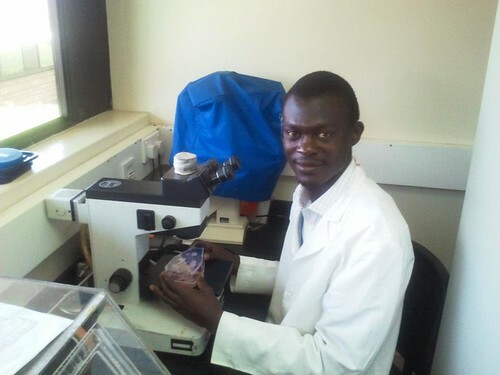 Field trials of the new vaccine batch, also produced at ILRI, are being completed in accordance with international standards to ensure that it is safe and effective. East Coast fever was first recognized in southern Africa when it was introduced at the beginning of the twentieth century with cattle imported from eastern Africa, where the disease had been endemic for centuries. It caused dramatic losses with high cattle mortality. It has persisted in 11 countries in eastern, central and southern Africa – Burundi, Democratic Republic of Congo, Kenya, Malawi, Mozambique, Rwanda, Sudan, Tanzania, Uganda, Zambia and Zimbabwe. The disease devastates the livelihoods of small-scale mixed crop-and-livestock farmers and smallholder and emerging dairy producers, as well as pastoral livestock herders, such as the Maasai in East Africa. East Coast fever, or theileriosis, is a devastating cancer-like disease of cattle that often kills the animals within three weeks of infection. It is caused by the single-celled parasite Theileria parva, which is transmitted by the brown ear tick (Rhipicephalus appendiculatus) as it feeds on cattle. In addition to producing the infection-and-treatment vaccine, ILRI is also working to develop a genetically engineered next-generation vaccine. Some 70 per cent of the human population of sub-Saharan Africa – around half a billion people – depend on livestock for their livelihoods, with farming and herding families relying on cattle for vital sources of food, income, traction, transportation and manure to fertilise croplands. Maasai herders in Tanzania have been particularly devastated by East Coast fever. In parts of northern Tanzania, more than 1 in 5 calves die before reaching maturity (54 months) in the lowlands and more than one third fail to reach maturity in the (wetter) highlands, where tick-borne and other diseases are more prevalent. 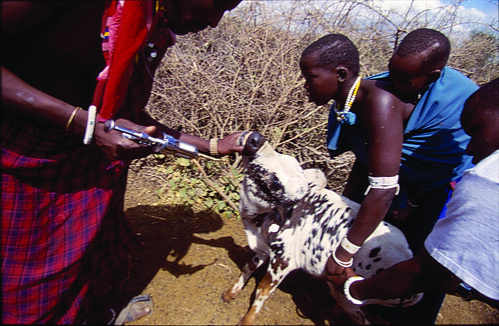 Although the infection-and-treatment vaccine is a “live” vaccine, and thus needs to be stored in liquid nitrogen and administered by skilled practitioners, after which the animals must be monitored by experts for several days, the Maasai here are desperate for the new batch to be ready. Introduction of the previous batch in recent years has drastically reduced calf mortality, from up to 80 per cent to less than 2 per cent. The protection afforded by the vaccine is so good that Maasai herders are willing to pay for these vaccinations. The vaccine appears to protect the animals against other ailments as well and, in addition, those mature animals that are marked with ear tags as having been vaccinated are fetching up to 50 per cent higher prices in the market. The vaccine is allowing these cattle herders to sell more animals and to invest their new income in, for example, bettering their household diets or paying for their children’s education. The new access to this vaccine is facilitating a transition among the Maasai in herd management, from a subsistence- to a market-orientation. 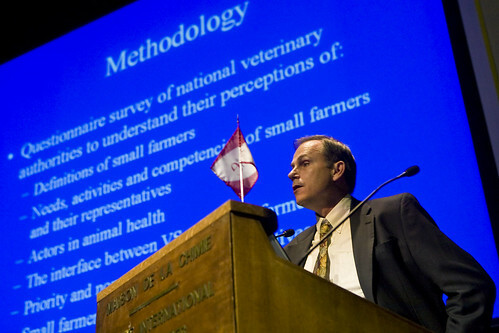 The Global Alliance for Livestock Veterinary Medicine (GALVmed) recently unveiled animal health projects it will tackle over the next ten years. GALVmed announced progress on vaccine and treatments for Newcastle disease in poultry and East Coast fever and Rift Valley fever in cattle at its international launch at the Kenya Agricultural Research Institute (KARI), in Nairobi, on Friday 9 March 2007. This marked the beginning of a 10-year program aimed at creating sustainable solutions to the loss of human and animal life caused by livestock diseases, which threaten 600 million of the poorest people in developing countries in Africa, Asia and Latin America. GALVmed, a non-profit organization funded by the UK Department for International Development (DFID), is partnering with private and public-sector organizations around the world. It has identified 13 livestock diseases as key targets for development of livestock vaccines and animal health diagnostics and medicines. Founder members of the agency include the International Livestock Research Institute (ILRI), FARM-Africa, Pfizer, Intervet and Merial. GALVmed exists to broker partnerships among pharmaceutical companies and other public and private-sector organizations to develop accessible and affordable animal vaccines for the whole world’s poorest farmers. GALVmed’s chief executive Steve Sloan explains that ‘Every year, poor farmers worldwide lose an average of a quarter and in some cases half, of their herds and flocks to preventable disease. This devastates developing economies. Many of these are zoonotic and so also cause human deaths. Livestock play a critical role in helping people escape poverty. 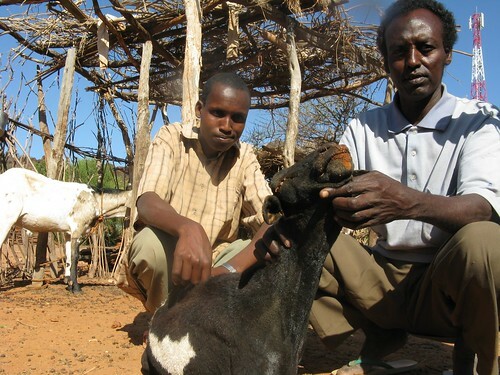 Livestock disease is one of the greatest barriers to development for poor livestock keepers. Flocks and herds die every year from diseases for which vaccine simply do not exist or are beyond the reach of the poor. 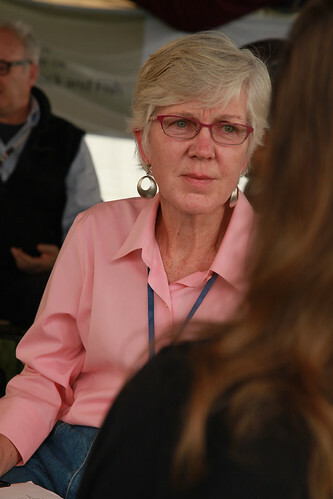 John McDermott, ILRI’s deputy director general for research says, ‘ILRI scientists and partners have done ground breaking science to develop an experimental vaccines to protect cattle against East Coast fever. The next steps are to conduct trials to facilitate the delivery of this vaccine to the farmers. To do that, we need specialist partners who will test, manufacture and market the vaccine and make it accessible and affordable to the thousands of livestock keepers afflicted by this cattle killing disease. Click here for the GALVmed News release.